We had the opportunity to interview Guy Lonsdale. CEO of Scapos, an SME in Germany. Scapos is involved in a number of HPC projects. Scapos is also the coordinator of the project called "Concerted action for the European HPC CoEs", also known as FocusCoE. 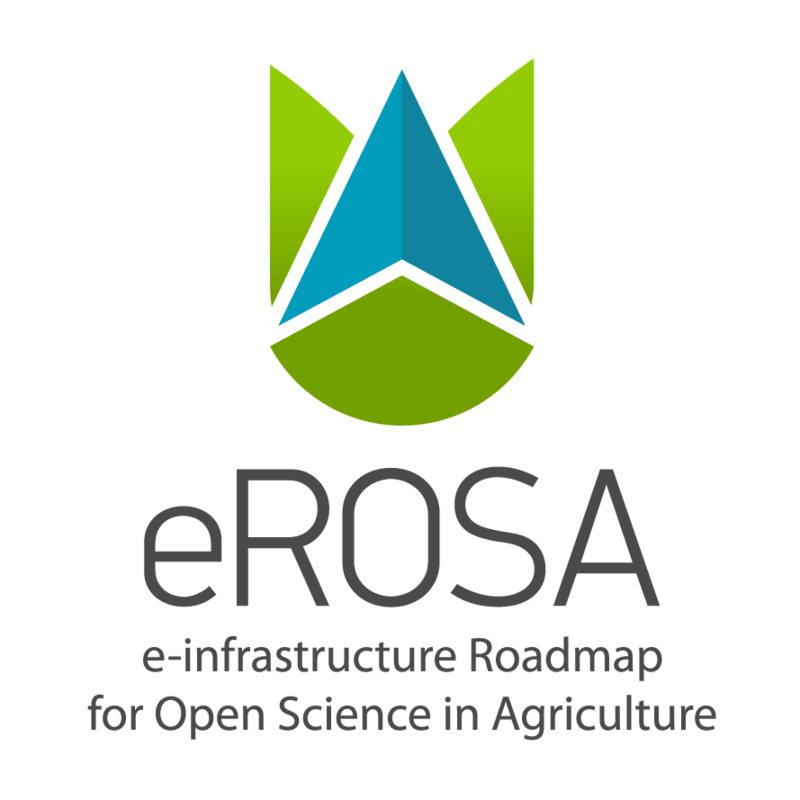 eInfraCentral invites researchers from public and private sectors, e-infrastructure service providers, research infrastructures and policy-makers to the EOSC community event on 20 June, 2019 in Tallinn, Estonia: "Building Open Science in Europe: The road ahead for the EOSC community". 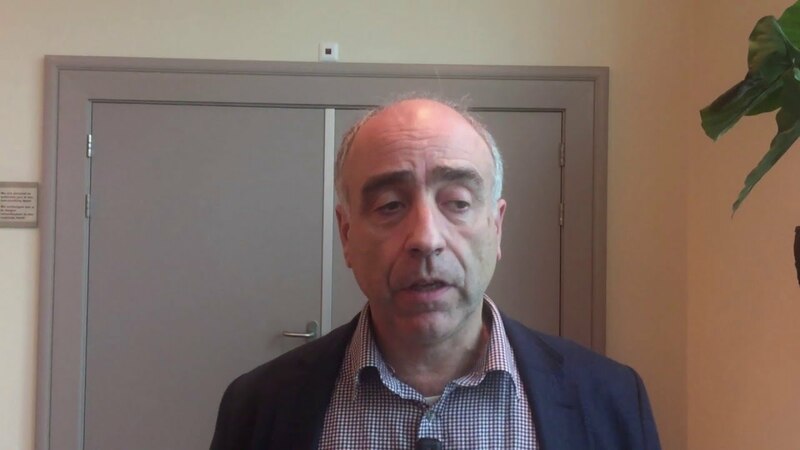 At the ETP4HPC meeting on March 18, 2019 in Sassenheim, The Netherlands, we talked about the ecosystem around HPC in Europe with three ETP4HPC members including Pascale Bernier-Bruna, Communication Officer for ETP4HPC; Fabrizio Magugliani from E4 Computer Engineering in Italy; and Axel Auweter from MEGWARE in Germany. 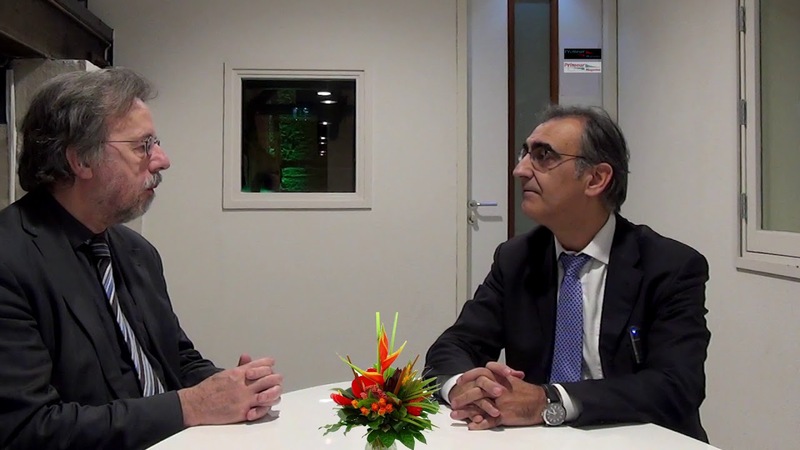 On 22 January 2019, we were invited at the EuroHPC Joint Undertaking (JU) premises in Luxembourg to talk with Gustav Kalbe, head of the High Performance Computing and Quantum Technologies Unit at the European Commission, who currently is EuroHPC JU's interim Executive Director. The e-IRG Chair and the Swiss e-IRG Delegates have launched an invitation for the open e-IRG Workshop, which will be held May 20-21, 2019 at CERN in Geneva, Switzerland. The workshop is organised by the Swiss Delegates and co-organised with the Research Data Alliance (RDA). The e-IRG Knowledge Base website, that contains information about European e-Infrastructures - including HPC - has got a new look. This makes it easier to browse the thousands of information items about projects, organisations, countries and national nodes of international organisations. The next e-IRG Delegates Meeting will be held in Brussels on March 26, 2019. The meeting is open only for Delegates and invited persons. 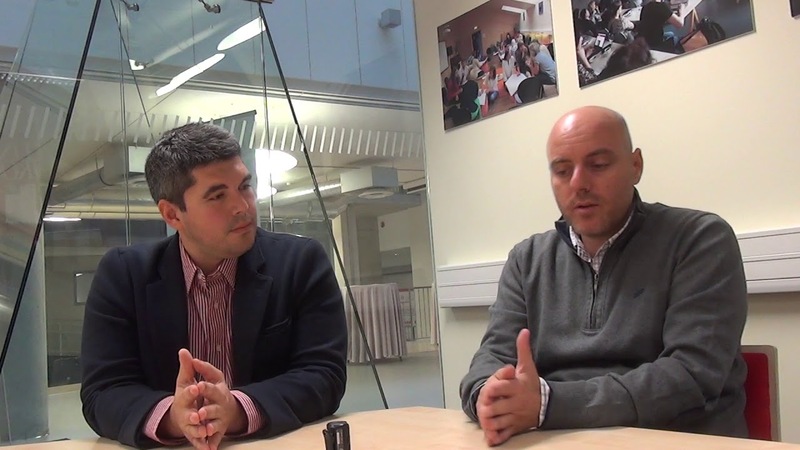 At the PLAN-E Workshop, the Platform of National eScience Centers in Europe, that was hosted in Amsterdam, The Netherlands, we talked with Juan Bicarregui, who is the coordinator of the European Open Science Cloud (EOSC) Pilot project. 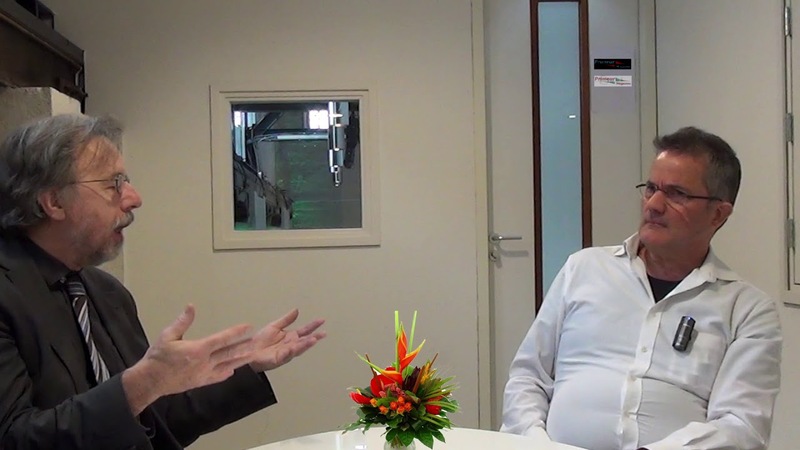 At the eScience Conference in Amsterdam, in an interview with Prof. Dieter Kranzlmüller, Chairman of the Board of Directors at the Leibniz Supercomputing Centre (LRZ) in Germany and in this function responsible for the strategic and external representation of LRZ, we discussed the topic of GeRDI which stands for Generic Research Data Infrastructure. Including the calls that closed early last year, more than 700 million euro of budget has been allocated to e-Infrastructure related projects. This can be concluded from data collected and aggregated in the e-IRG e-Infrastructure Knowledge Base maintained by the e-IRGSP projects. 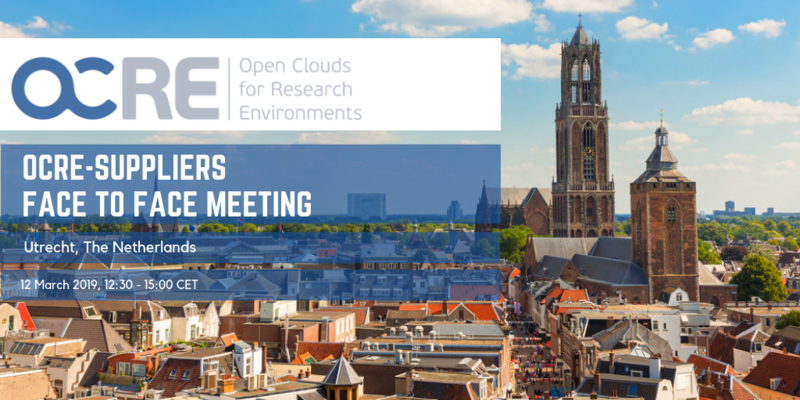 The Open Clouds for Research Environments project (OCRE) aims to accelerate Cloud adoption in the European research community, by bringing together Cloud providers, Earth Observation (EO) organisations and the research and education community, through ready-to-use service agreements and 9.5 million euro in adoption funding. Arjen van Rijn, the Institute Manager of Nikhef and a long-time member of the EGI community, was elected to be the next EGI Council Chair. Since 2016, the Helix Nebula Science Cloud (HNSciCloud) project has been investigating the hybrid cloud model to support the deployment of high-performance computing and big data capabilities for scientific research. On January 1, 2019 the new e-IRGSP6 project, the follow-up project of e-IRGSP5, was launched to continue the support for the e-Infrastructure Reflection Group (e-IRG). At the ESFRI Roadmap 2018 Launch Event in Vienna, Austria on 11 September 2018, e-IRG Chair Gabriele von Voigt explained the role of e-IRG in the ESFRI Roadmap 2018. A new publication demonstrates how ELIXIR Finland, operated by CSC - IT Center for Science, supports life science research, biotechnological innovation and its translation into the knowledge economy. The publication features 19 user case stories, presenting the full breadth of infrastructure services offered by ELIXIR Finland. Through combining the experimental investigations from the largest-scale astronomical structures to the most fundamental particles, the partners in the ESCAPE project together will open new paths towards the understanding of the Universe. ESCAPE stands for European Science Cluster of Astronomy & Particle physics ESFRI research infrastructures. 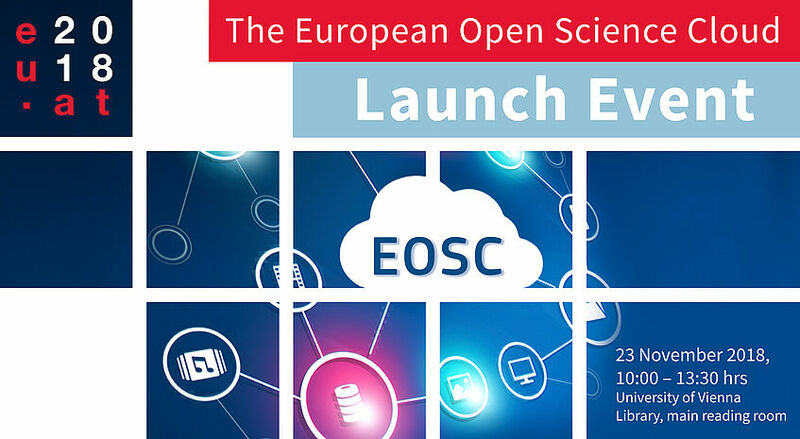 The European Open Science Cloud (EOSC) was officially launched on 23 November 2018, during an event hosted by the Austrian Presidency of the European Union. The e-Infrastructure Reflection Group (e-IRG) has published a new edition of the e-IRG Magazine. This Fall edition of the new e-IRG Magazine is now available for download. 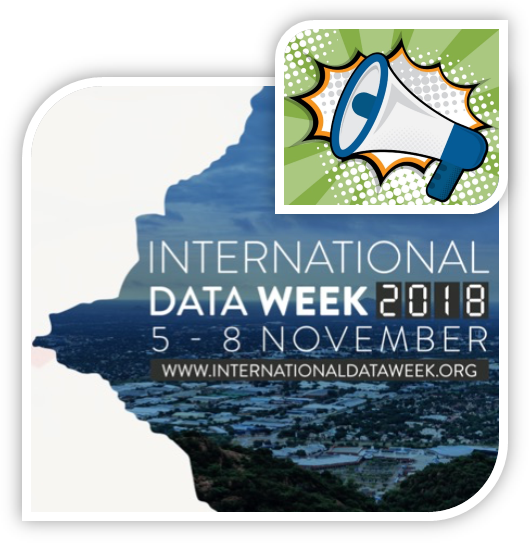 The third edition of the annual Digital Infrastructures for Research (DI4R) conference was held this year at the University of Lisbon campus in Lisbon, Portugal from 9 October to 11 October 2018. The EOSCpilot's second and final installment of the European Open Science Cloud (EOSC) Stakeholders Forum 2018 will be held from 21-22 November 2018 at the Austria Center Vienna. 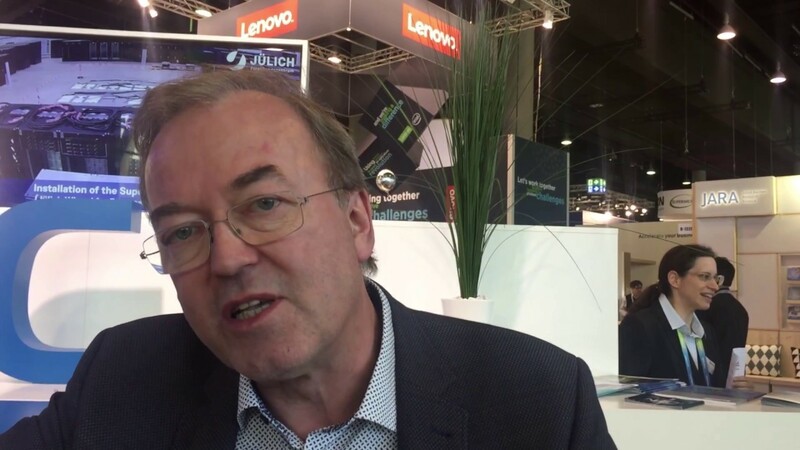 At the Workshops Day at ISC'18 in Frankfurt, Germany, we talked with e-IRG delegate Simon McIntosh-Smith, a professor of high-performance computing at the University of Bristol about the first ARM-based supercomputer. With some of his colleagues, Simon McIntosh-Smith designed and built Isambard, the world's first production-ready ARM-based supercomputer. The public Open e-IRG Special Edition Workshop under the Austrian EU Presidency will take place on 20-21 November 2018 in Vienna, Austria, focusing on e-Infrastructures in the broader context of the development of Open Science policies, the aspect of national nodes as foundation of the European Open Science Cloud (EOSC) and the open issue of Key Performance Indicators for e-Infrastructures. At the ISC'18 Conference in Frankfurt, Germany, Sergi Girona from the Barcelona Supercomputing Center expanded on EuroHPC, the exascale programme for Europe in the session on upcoming exascale systems. Analysing the TOP500 results, Sergi Gerona described the European Union as a union of states whereas the United States are united. 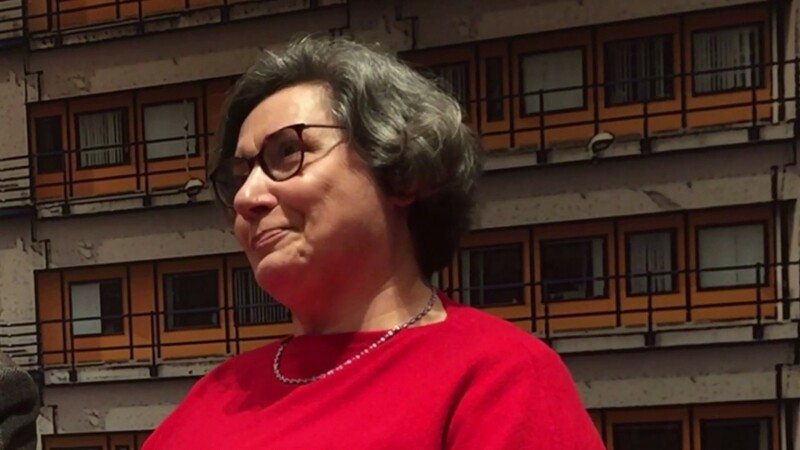 The Centro Nacional de Investigación sobre la Evolución Humana (CENIEH), together with the CSIC and the IPCE, has just signed a General Protocol for Action, for a term of four years which can be automatically extended, to link up the Spanish node of European Research Infrastructure for Heritage Science (E-RIHS). On 4 September 2018, 11 national research funding organisations, with the support of the European Commission including the European Research Council (ERC), have launched cOAlition S, an initiative to make full and immediate Open Access to research publications a reality. The Horizon 2020 calls related to HPC will be cancelled from the 2019-2020 workprogramme. The related budget will be transferred to the new EuroHPC JU. This was announced by Thomas Skordas, European Commission director for "Digital Excellence and Science Infrastructure" in a blog post. 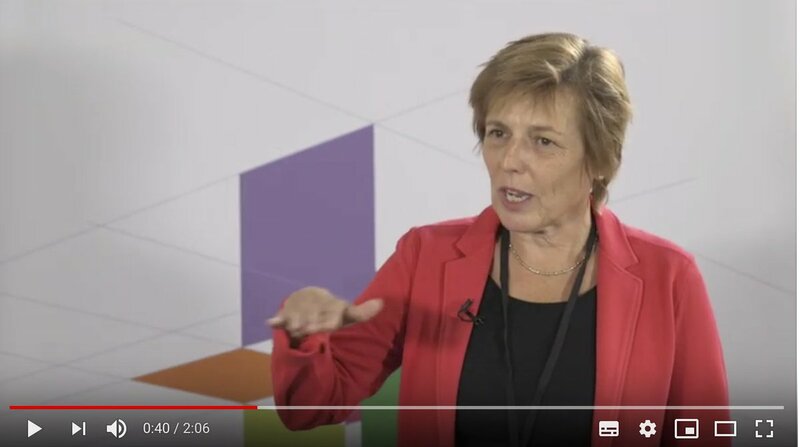 The European Open Science Cloud (EOSC), is the European programme that builds a virtual environment for all researchers to store, manage, analyse and re-use data for research, innovation and educational purposes. You can share your wishes and thoughts via the online EOSC Stakeholder Open Consultation. SURFsara has developed a proof of concept of an ELIXIR supportdesk based on its national servicedesk model. The supportdesk assists users in ELIXIR ID and service registration using the ELIXIR Authentication and Authorisation Infrastructure (AAI). It is now ready to be further applied within ELIXIR's European research infrastructure for life sciences. The eInfraCentral project has published its third newsletter. eInfraCentral is a Coordination and Support Action funded under the EU Horizon 2020 framework programme's INFRASUPP-03-2016 call. Running from January 2017 to mid-2019, eInfraCentral's mission is to ensure that by 2020 a broader and more varied set of users - including industry - benefits from European e-Infrastructures. 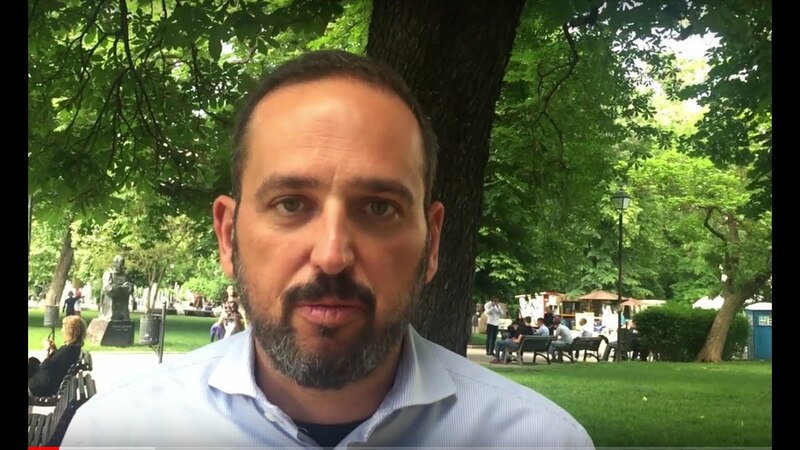 After the recent e-IRG and Vi-SEEM Workshops, we were invited by Ivan Dimov, Deputy Minister of Education and Science at his cabinet in Sofia, Bulgaria for an interview. Ivan Dimov gave a keynote at both workshops about e-Infrastructures and supercomputing. He is responsible for research in Bulgaria. 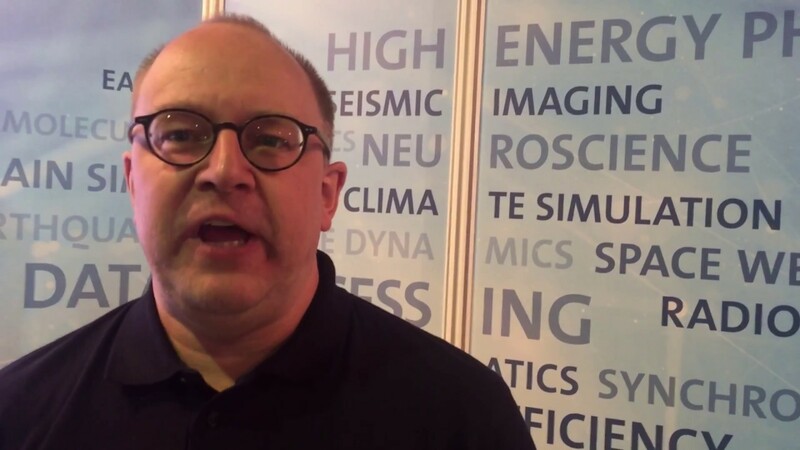 During the recent e-IRG Open Workshop in Sofia, Bulgaria, Dr. Peter Bauer, Deputy Director of Research at the European Centre for Medium-Range Weather Forecasts (ECMWF), gave a talk on the need for co-design in supercomputers for weather prediction. 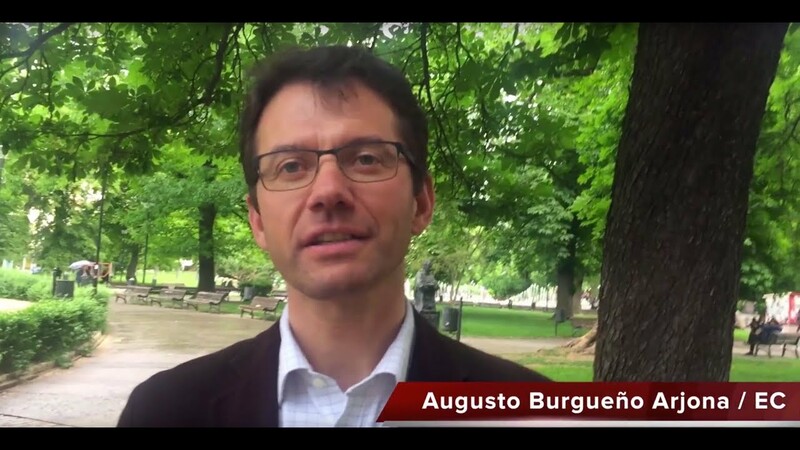 After the e-IRG Open Workshop held in Sofia, Bulgaria, we had the opportunity to speak with Augusto Burgueño-Arjona, Head of the e-Infrastructures and Science Cloud Unit in DG Connect at the European Commission, for an update of the European Open Science Cloud's status. The e-Infrastructure Reflection Group (e-IRG) has published a new edition of the e-IRG Magazine, formerly known as e-IRG Newsletter. This Spring edition of the new e-IRG Magazine is now available for download. 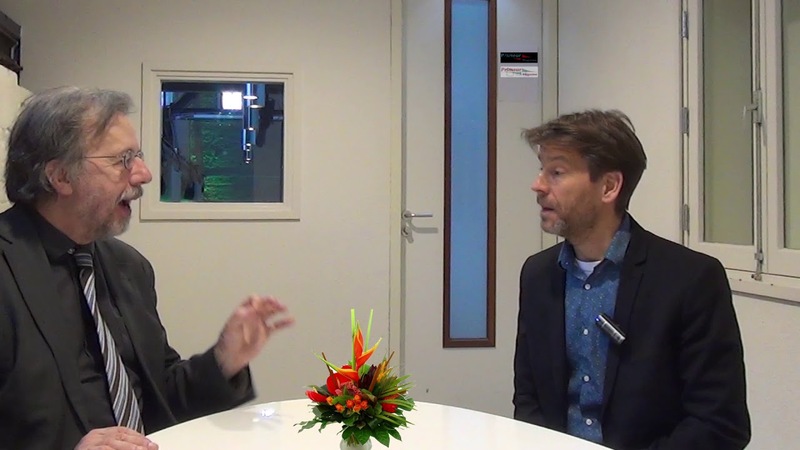 During the annual SURFsara Super D Event on December 12, 2017 in Amsterdam, the Netherlands, we had a conversation with Erik Schultes, International Science Coordinator at the GO FAIR International Support and Coordination Office in Leiden, the Netherlands. GÉANT has confirmed Erik Huizer in his role as Chief Executive Officer (CEO) following his appointment in July 2017 on an interim basis. 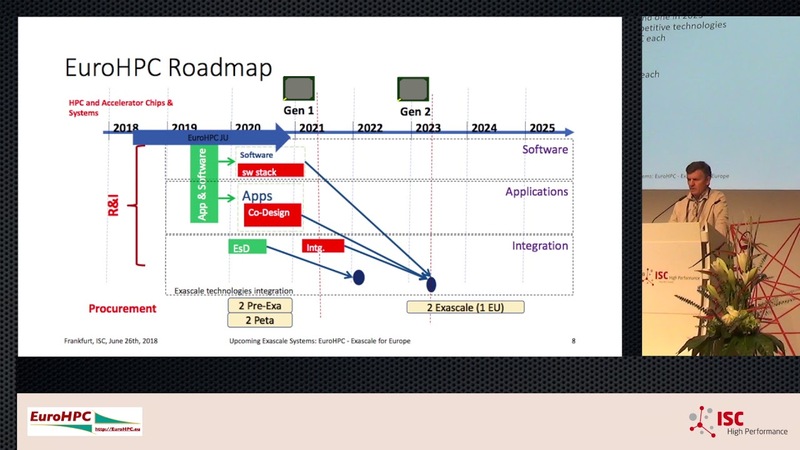 Europe has an ambitious plan to become a main player in supercomputing. The EuroHPC initiative is a joint undertaking with as one of its goals to construct an exascale supercomputer based on European technology. The preparations for the Square Kilometre Array are advancing: construction is due to begin in 2020. An EU-funded project team working on infrastructure was one of several groups involved in the detailed design of this instrument, which will be co-located on two continents. The 52nd closed e-IRG delegate meeting was held in Sofia, Bulgaria, on 20 March 2018. The meeting was opened by the Deputy Minister of the Bulgarian Ministry of Education and Science Prof. Ivan Dimov. The European Open Science Cloud (EOSC), presented in the Communication on European Cloud Initiative - Building a competitive data and knowledge economy in Europe, as a part of the Digital Single Market Strategy, aims to give Europe a global lead in scientific data infrastructures and ensure that European scientists reap the full benefits of data-driven science. The European Commission adopted on 14 March 2018 the Implementation Roadmap for the European Science Cloud. The regional conference on "e-Infrastructures for excellent science in Southeast Europe and Eastern Mediterranean" will be held on 15-16 May 2018 in Grand Hotel Sofia and in Best Western Expo Hotel in Sofia, Bulgaria. Barcelona Supercomputing Center (BSC), Spain; CEA, France; CINECA, Italy; ETH Zuerich/CSCS, Switzerland; and Forschungszentrum Juelich/JSC, Germany jointly announce a Public Information Event, which will be held on 15 March 2018 from 10:00 to 16:00 CET on the premises of BSC in Barcelona, Spain. The Human Brain Project (HBP) is organising a webinar on Frameworks and Financing Models for Research Infrastructures in Europe on February 20, 2018 between 14h00 and 16h00. 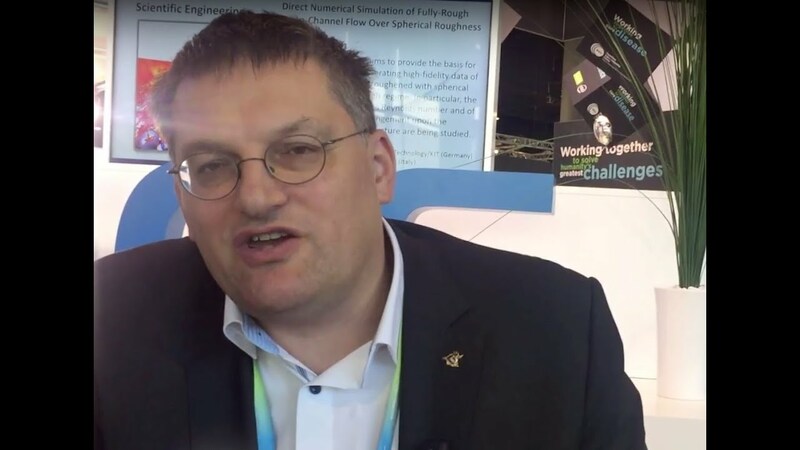 During the annual SURFsara Super D Event on December 12, 2017 in Amsterdam, The Netherlands, we had the pleasure to talk with Thomas Schulthess, Director of the Swiss Supercomputing Centre - CSCS - in Lugano, who gave a keynote presentation at Super D about the European exascale developments and the requirements to achieve this. 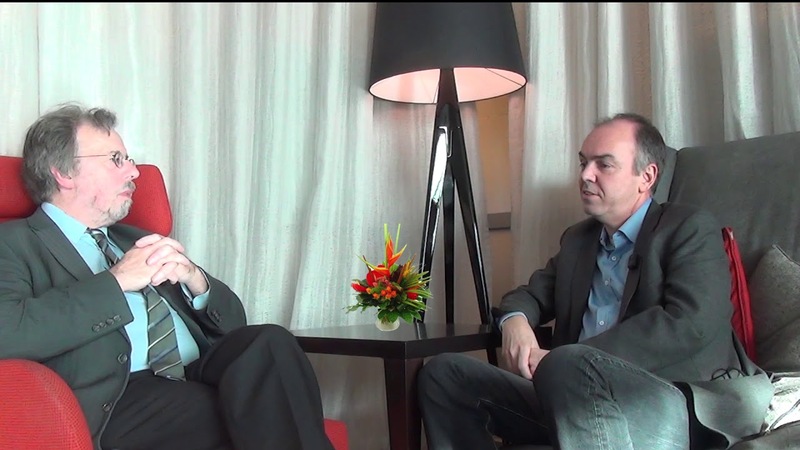 During the annual SURFsara Super D Event on December 12, 2017 in Amsterdam, the Netherlands, we had a conversation with Thomas Skordas, who is responsible for the EuroHPC strategic initiative. 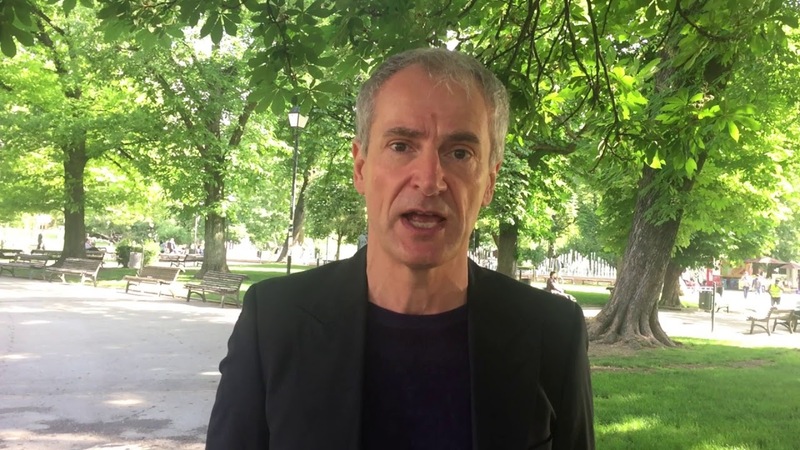 Thomas Skordas is Director of "Digital Excellence and Science Infrastructures" of the European Commission's Directorate in DG Connect. The EOSC-hub project, funded by the European Commission, started on January 1st 2018, bringing together an extensive group of national and international service providers to create the Hub: a central contact point for European researchers and innovators to discover, access, use and reuse a broad spectrum of resources for advanced data-driven research. Researchers are one step closer to being able to quickly and easily create data management plans for their research. Science Europe launches a framework for research data management protocols that scientific communities can use to set up domain-specific protocols as templates for researchers within their field. The European Commission has unveiled its plans to invest jointly with the Member States in building a world-class European supercomputers infrastructure, confirming its commitment to EuroHPC. Bulgarian Presidency of the Council of the EU to host Flagship Conference "Research Infrastructures beyond 2020"
The Bulgarian Ministry of Education and Science, in partnership with the European Commission, will host the 2018 Bulgarian Presidency of the Council of the EU Flagship conference "Research Infrastructures beyond 2020 - sustainable and effective ecosystem for science and society". The OpenAIRE datathon started on 30 November 2017 and will take place until the end of February 2018. In a report entitled "Top science requires top infrastructure", the Netherlands Organisation for Scientific Research (NWO) advises the new government to make an extra 27 million euro per year available for the Netherlands' national digital infrastructure. 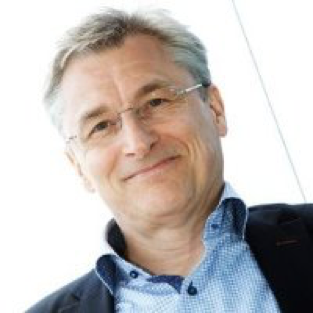 The EUDAT Collaborative Data Infrastructure (CDI) has appointed Per Öster, Director of Research Infrastructures at CSC - IT Center for Science, to lead the EOSC-Hub project as Project Director. This agreement was made during the EUDAT CDI Council which was hosted by the IN2P3 Computing Centre, in Lyon, France, on 21 November 2017. 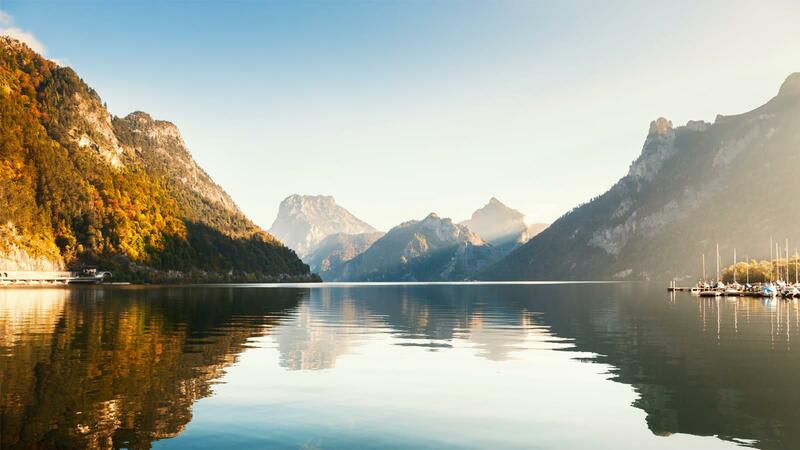 In order to take a step closer towards the realisation of the European Open Science Cloud (EOSC), Germany and the Netherlands are setting up an international office to support the GO FAIR Initiative, the International Support and Coordination Office (ISCO). France is joining them and will also contribute to the office. Showing 1 - 75 of 203 results.